Discussion in 'Navy' started by supertran, Jul 11, 2006. Seems like the Marines and sailors share the same berths. 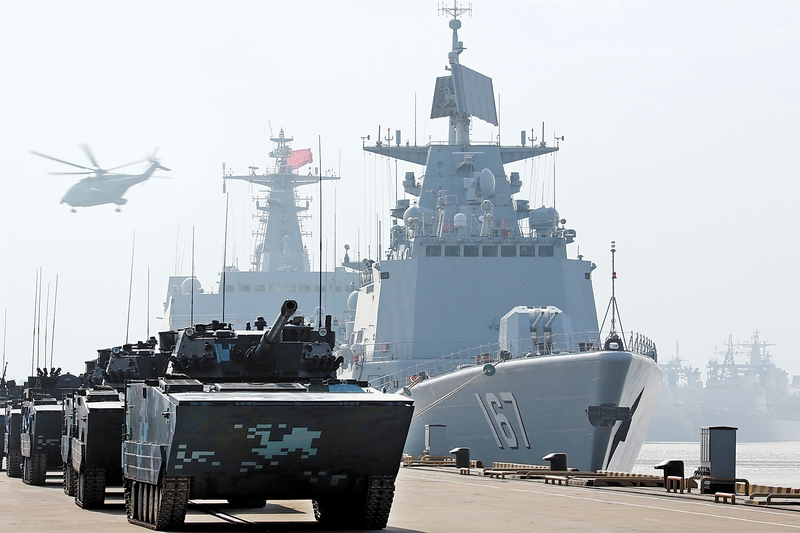 If the Type 051B keeps that pennant number, I am assuming its still based on the South China Seas, and this Marines or amphibious exercise is also held there. I am starting to think this. CM-302 is the export name for YJ-12, and I think YJ-12 maybe using square canisters like this. I also think the DDG 167, from the looks of it having what might be different missiles, on the ASM racks, that it maybe testing and doing trials on different missiles, so I would think that testing for YJ-83 and YJ-18 is also likely. As DH-10 has square canisters, is there an antiship version of it, or would that be the YJ-100? Hyperwarp and davidau like this. Dafeng Cao tweeting, it will have eight YJ-12s. Four canisters. Some old fan based speculation of what he thought the 167 upgrade might be, though it fell way short. This was made at a time when the 167 began stripping her old equipment. But one thing that caught my attention is that it has this pineapple radar and integrated mast that has recently shown up in a fan based 054B speculation, and which of course, we know is based on a real test mockup in Wuhan. L-band radar on the back is something I see with a number of fan drawings, which I thought could be inspired from Thales SMART-L, or could be a navalized Type 120, but this part is speculative, and we have seen that with 055 speculations. Converting the top masts might be something I may expect of a speculative Type 054A to 054B refit in the future, or even that of the 054 and 052B refit. antiterror13 and mr.bean like this. Images released by the Chinese navy recently show that the mid-life modernization of its Shenzhen destroyer , which has immobilized the building for more than three years, is now fully completed. 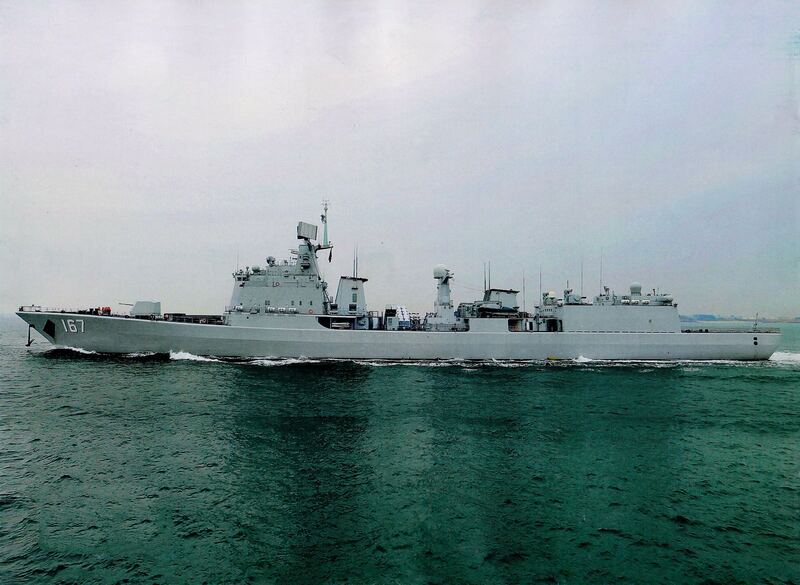 The single hull of its Class Type 051B has therefore reinstated the naval forces of the South Operations Theater Command, and appeared in particular at the departure of a battalion of Chinese Marines for the South China Sea at the beginning of the month . The 6,600-ton full-load destroyer was the most advanced and also the most "heavy" first-class ship for the Chinese navy when it was commissioned in February 1999, before being quickly overtaken in overall performance by the Chinese navy. Type 052C arrived five years later, which has a combat system comparable to the American Aegis. Many observers then considered it an "experimental" vessel because it is the only one of its class, which is not in the habit of the Chinese, but in reality it was never conceived or served as a test bench but a real warship. 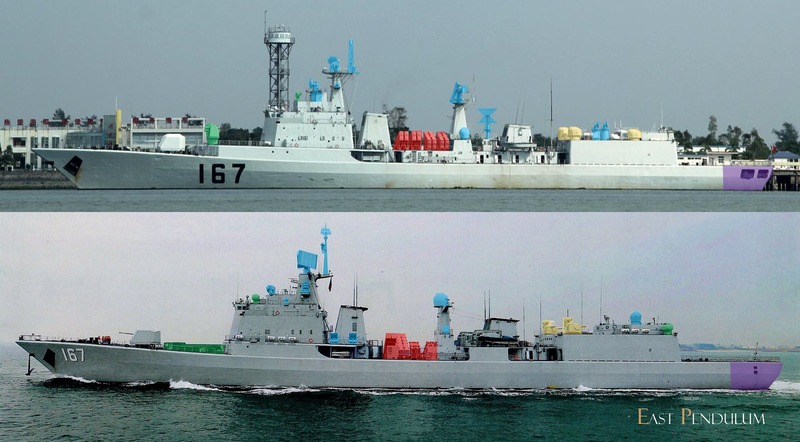 And the Type 051B platform is also reused in the design of Type 051C, another class of Chinese antiaircraft destroyer, with two hulls commissioned by the Chinese Navy at the turn of the century to integrate the Russian SAM S-300FM system and reinforce the naval anti-aircraft capability of the Beijing Protection Circle. This redesign Type 051B performed by the military shipyard 4804 (also called Haibin Shipyard) since late 2014 further demonstrates China's pragmatism in armaments, and for proof, the renovation of 167 MLU Shenzhen builds mainly and mainly on systems that have already reached maturity on other vessels, so that the vessel can integrate quickly with existing fleets. Thus, the only real "novelty" is probably the replacement of the 16 YJ-83 subsonic anti-ship missiles by 8 YJ-12A supersonic missiles, which makes the Type 051B the first Chinese naval surface vessel to be equipped. of this new generation missile. 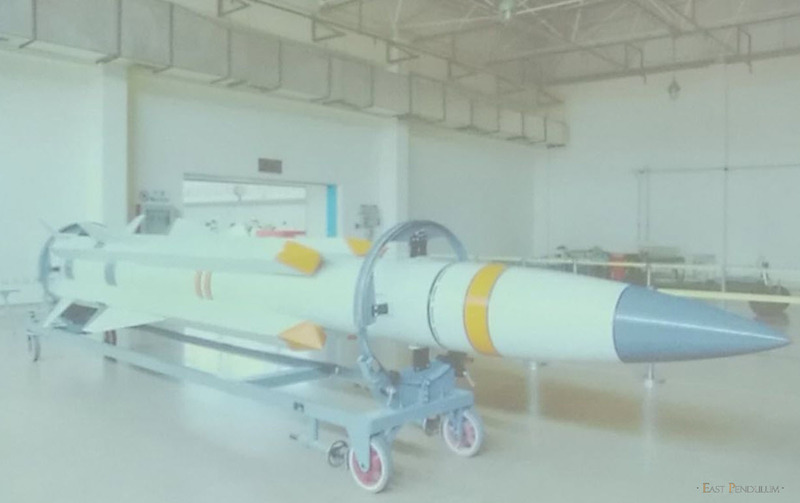 The detailed specification of this Chinese Sea-Sea missile is still unknown, but its YJ-12 airborne version, which must be carried by bombers such as H-6G or H-6KH because of its length and also its mass, is designed to fly to Mach 3.2 at a maximum range of 380 km. It is a missile that primarily targets large enemy warships. 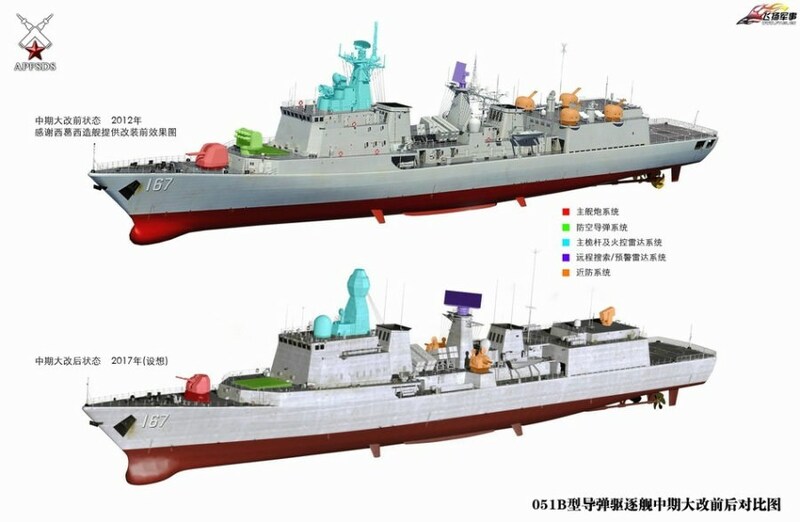 It should be noted that the new Type 051B, which is being redone, has not equipped with Type 366 trans-horizon passive / active radar systems, as for the Type 052C, Type 052D destroyers or Type 054A frigates. This multi-band radar can guide anti-ship missiles beyond the skyline, or detect naval targets passively once the buildings equipping this network. The lack of a dedicated firing lane radar is tantamount to saying that YJ-12A guidance launched by Shenzhen will be carried out remotely, either by other ships or by onboard helicopters. As such, the Chinese destroyer preserves its double hangar after the modernization, a rather rare configuration on Chinese buildings of first rank today. Other visible changes from outside the vessel include the integration of a 32-silo AJK-16 Vertical Launch System (VLS) capable of launching medium range medium range HQ-16 or HQ-16C anti-aircraft missiles. , and Yu-8 powered torpedoes. This VLS system therefore replaces the old 8-tube H / HQ-7 tilted launcher that can only provide moderate protection to the ship and even less to the fleet. The guidance system has been changed from a Type 345 radar to 4 HQ-16 fire channel radars, which can track two targets simultaneously. The 4 old type 37 37 mm bore two-tube barrels leave 2 CIWS H / PJ-11 systems at a rate of 10,000 rd / min. The same 30-mm 11-tube gun system, designed to intercept direct impact targets flying to Mach 4, already equips Chinese frigates and new-generation destroyers, and can be found on both Chinese aircraft carriers. also. Since each CIWS has its own optronic and radar tracking system, the old Type 347G firing lane radars for secondary guns have simply been removed. On the reconnaissance side, the old Type 517H-1 long-range aerial surveillance radar has been removed, and the Type 360S surface search radar and the Type 381 3D aerial search radar have been replaced by Type 364 and Type 382. respectively. This pair of radars becomes a standard composition that has already proven itself on other Chinese buildings such as the Type 052B destroyer and the Type 054A frigate. The electronic warfare capability is also another focus for the new Type 051B at its MLU. The old NRJ6A system derived from Israeli technologies is giving way to the integrated Type 726 suite, which includes several ESM subsystems, active jammers and multi-function multi-spectral decoy launchers. 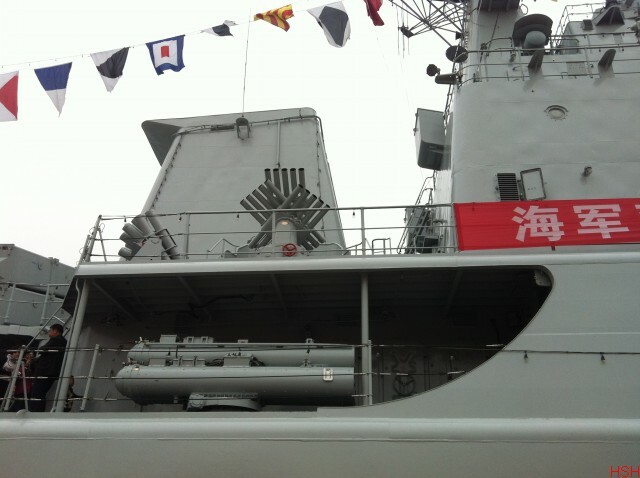 The same type of antennas with various functions appear as the Type 052C and Type 052D destroyers at the top of the main Shenzhen 167 masts . And there are two more but one SATCOM station that has been moved to the top of the hangar, as for the new Chinese frigates. For the almost invisible part, ie combat suites, data links and anti-submarine systems for example, local sources indicate that the old HN-900 data links have been updated to a new trans-armored protocol, covering all the existing features of HN-901, 902, 903 and 905, and ensures encrypted exchanges between air, naval and ground forces. The ZKJ-6 Central Command System has also been replaced by the new ZKT Vessel Command and Fleet Command ZKB to maintain the capability of the Type 051B to serve as a Fleet Command Vessel. The H / SJD-9 hull sonar remains unchanged on the destroyer, but the latter would have lost the ability to deploy a TASS towed sonar, such as the H / SJG-206 model used by the ASW Type 056A corvettes or the Type 054A frigates. , since the opening dedicated to this function before the renovation is now completely sealed. This lightening of anti-submarine means could mean a more pronounced re-orientation on the anti-ship for the second life of the destroyer Type 051B. In sum, it seems that the Chinese navy has chosen the best compromise possible for an "old" steam-powered platform to regain the same general level as the current leading ships at the lowest cost. A philosophy that is also found on the frigates Type 053H3, as mentioned in our file " A new CIWS for the old Chinese frigates " a year ago. AeroEngineer, Yodello, Daniel707 and 1 other person like this. 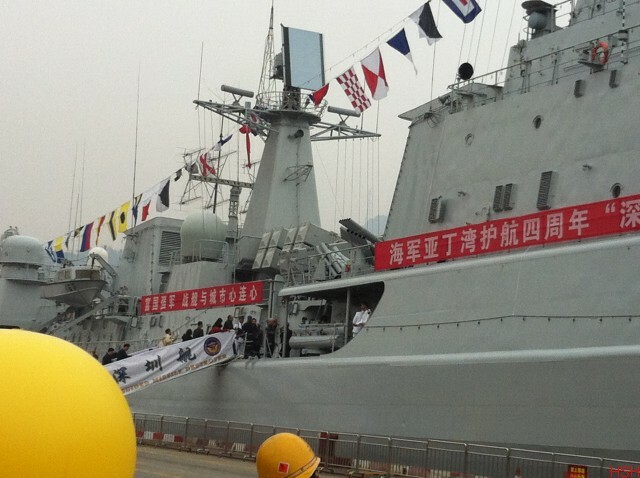 Will they upgrade the 2 type 054 frigate? caksz and antiterror13 like this. or better give them to the Coast Guard. those 054 painted white would be perfect. the navy can order two more 054 ''B'' as replacements. I don't know if you need to replace the 100mm for the 76mm, as the Type 051B kept its. The Type 363 radar can be changed to the Type 382 Sea Eagle, but I am not completely sure how much you can gain from that. The Type 382 is not necessary for the operation of the HQ-16. The radar near the funnel is the Type 364, and this remains the same on the upgraded vessel. Assuming you change the Type 363 to the Type 382 on top of the mast, this does not amount to a structural change on the ship. But in my opinion, updating the back end of the Type 363 would suffice. The Type 051B changed to the Type 382 for its main radar, but then the Type 360S itself on the 051B is an old radar even compared to the Type 363 which appears to be its replacement. If the Type 382 outperforms the Type 363 to a significant margin, maybe that is a good consideration for changing but I don't have the numbers. The Type 344 fire control radar for the guns remains. If you really want to trim the costs down on a 054 upgrade but with enough combat improvement, such as replacing the HQ-7s with HQ-16 rather than an HQ-10 launcher, you could basically do the obvious of replacing the HQ-7 launcher and reloader, with the H/AJK-16 VLS, then put two Front Dome radars on top of the bridge. Where the four AK-630s lie, the two innermost amidships get replaced by two Type 1130, and the other two AK-630s to the aft at the corner of the hanger are replaced by two more Front Dome radars. Like the Type 051B upgrade, its may not be necessary to put the Type 366 "Bandstand" radar on top of the bridge, despite this being a standard feature with the Type 054A.